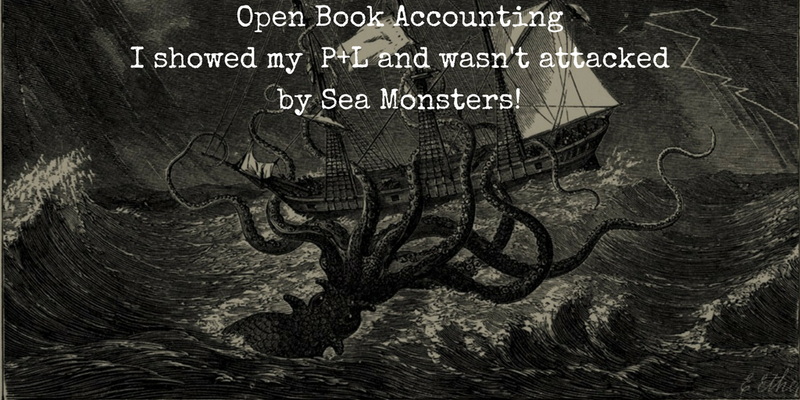 Open Book Accounting – I shared my P+L with our Team and I wasn’t attacked by Sea Monsters! Often one of the most closely guarded secret in a Small Business is the Financials. The Profit and Loss is hidden from all of the employees because of a fear that if they knew how much money you were making (or not!) they would leave or ask for a pay rise. But the financials are the report card for one of the most important functions in your business . One way that we identified that we could do a better job of creating engagement with our team was with Open Book Accounting – sharing all aspects of our finances with the team as a part of our 4 key values, one of which is Communication. As a part of our commitment to Open and Honest Communication, we shared our 6 monthly P+L at a recent team meeting. Open Book Accounting – I shared my companies Profit and Loss and I wasn’t attacked by Sea Monsters! At Extreme Networks, we have been conducting twice yearly presentations where we get all of the team together, go through our goals for the last 6 months, work out what the main priorities are for the next 6 months (these are meant to be Rockefeller habits, but that is probably one of the areas that we need to improve on.) 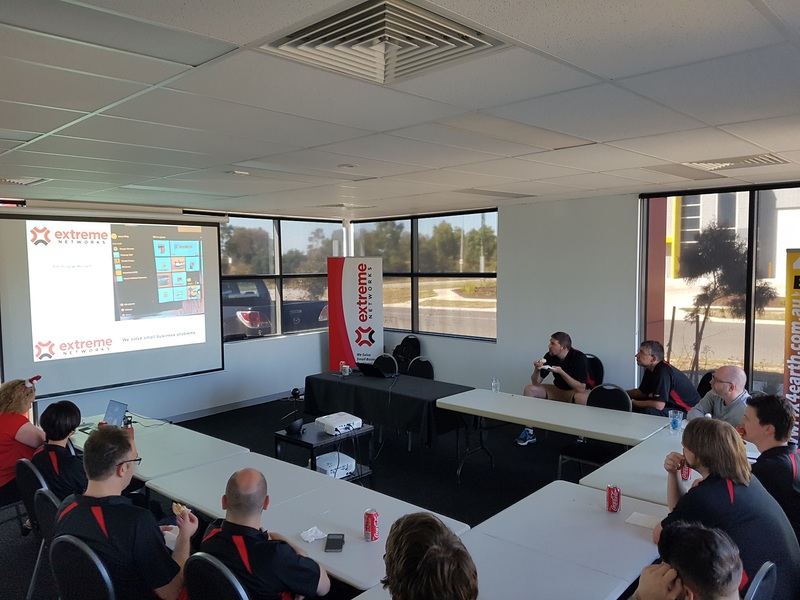 Given that are team has changed quite a bit over the last 3 years, (we now have 20 people in countries and cover 5 disciplines) we thought that we needed to up our game in respect to the information that we provide the team. We decided that we would move further towards Open Booking Accounting. What is Open Book Accounting? We got our first good look at Open Book Accounting in Chicago at Nick Sarillo’s amazing Pizza business – Nick’s Pizza and Pub, and we’ve spoken about it on the Sun Tzu Podcast. Nick is an expert at building small business teams with great cultures and Open Book Accounting is one of the tactics that he uses to achieve that. It was interesting going out to the Restaurant, because sure enough, there in a staff area for everyone to see, is the P+L. Why use Open Book Accounting in a Small Business? One comment a lot of small business owners mention when it comes to Open Book Accounting is “Why share the financials when we don’t have to?” This is a really good question. One of the benefits of not being a listed company or having investors is that you don’t have to share your P+L, but I think that we are missing out on building a better bond with our team. Our plan is to go further and actually post the P+L in a public place so that anyone visiting the company can see it. That is our long term plan. It would be beneficial for a lot of our customers as many of them don’t have a strong understanding of their own companies financials and I think that it is very important that business owners understand their own financials. Hopefully seeing ours will stimulate interest and a discussion around their business. How did the Team react to Open Book Accounting? So we open up our Accounting System, put it up on the Projector and went through it, not quite line by line, by we spent quite a lot of time on the Revenue items, because those are the areas that the team can a lot more readily impact. We then went through the costs and finally we got to the bottom line. We showed the team the six months to Dec 17, and compared it to the 6 months to Dec 16. This enabled them to see the growth in the company (always hard for people to see and impossible for people with the company less than 18 months) and it also highlighted the costs associated with running the company. We then spent around 10 minutes of Q + A as people clarified in their mind what it all meant. A better sense of belonging within the company. It requires trust to share somewhat sensitive data like the Profit and Loss, and so far the team has expressed the feeling that they are more trusted members of the organisation. It is still early days and we will keep you update to date with how we are tracking with this, but so far, the feedback has been very positive and it has stimulated some great conversations with the team about the future plans for the company. Our Xmas meeting. All of team comes together and we shared the financials for the last 6 months.